Mark Kochinski created the comic-book hero and the character’s mythology several years ago in hopes of captivating movie audiences. What’s unique, though, is that Dr. Obsidian was never meant to exist – in reality or fantasy. That’s because the premise of Kochinski’s documentary-style movie is that Dr. Obsidian was a comic-book character with a totally fictionalized past. Each time the character was about to get a second life on the screen, a tragic event foiled the effort. Kochinski explains the plot to his mockumentary, Lost Hero: The Search for Dr. Obsidian, which he is creating, directing, producing, and writing: The character’s popularity got its start in the late 1930s. Production for a sequel began immediately overseas, but a ship carrying the film seemingly was lost at sea as war broke out. Afterward, financial issues prevented Brazen Pictures from re-establishing the character. With the introduction of television, Brazen planned to resurrect the property some year later, only to have the plans thwarted by scandal involving one of the actresses. A campy, psychedelic version almost made it to television during the 1960s. Then, during the comic-book craze in the 1990s, the property was optioned and now appears ready for a near-future return to the silver screen, this time under the direction of a big-name VFX master and a team of CGI Jedis. For someone reading the plot posted on Kochinski’s Dr. Obsidian website (www.doctorobsidian.com/HOME.html), it’s somewhat difficult to untangle fact from fiction. And that’s exactly his intention. “If you reveal that it’s all fake, you give away the gag. Yet, you don’t want to trick people into thinking you are making an actual documentary about something that never happened, either,” he says. It’s a fine line, and one that Kochinski has spent more than six years walking when he began working on Dr. Obsidian in his spare time. He established the plot and the characters, and shot various footage; he also filmed “interviews” with directors and actors that will be intermixed with the other footage and the computer graphics and visual effects. Wanting to finish the project sooner rather than later, the filmmaker turned to investors to fund the remaining work, most of which involves postproduction. However, the production started to become unrecognizable due to changes requested by the investors, so the relationship terminated. Now, Kochinski is pulling together enough footage to raise the $50,000 on Kickstarter that’s needed to complete the project, which could happen in a few short months. The physical model of the airship. “It’s been a labor of love for a bunch of people,” Kochinski says. Approximately 15 volunteers have been involved over time. “We don’t want that effort to be for nothing, and the last hurdle, the postproduction effects, editing, and final shooting, is too much for us to bear without any help,” he adds. 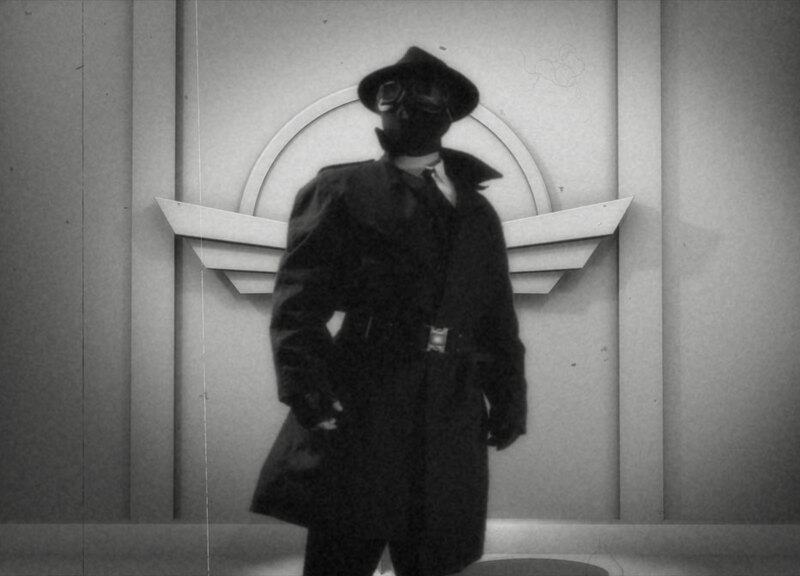 Because of the premise, Dr. Obsidian contains different visual styles: from the black-and-white noir look of the 1930s, to the over-saturated look of the 1960s, to today’s high-definition, sophisticated VFX look. Creating and then pulling together these diverse aesthetics and making them appear cohesive has been no easy task. Neither has been creating a narrative film structure, which requires a good deal of editing to achieve the desired “voice.” However, harnessing the superpower of digital technology – in particular, NewTek’s LightWave 3D – Kochinski is making his Dr. Obsidian dream come true. Kochinski has an extensive background in visual effects that, over the years, has elevated the standard in television for VFX-heavy series such as Babylon 5, The X-Files, and Star Trek: Voyager, to name a few. He also has several feature-film credits to his name, including Minority Report and The Matrix Reloaded. 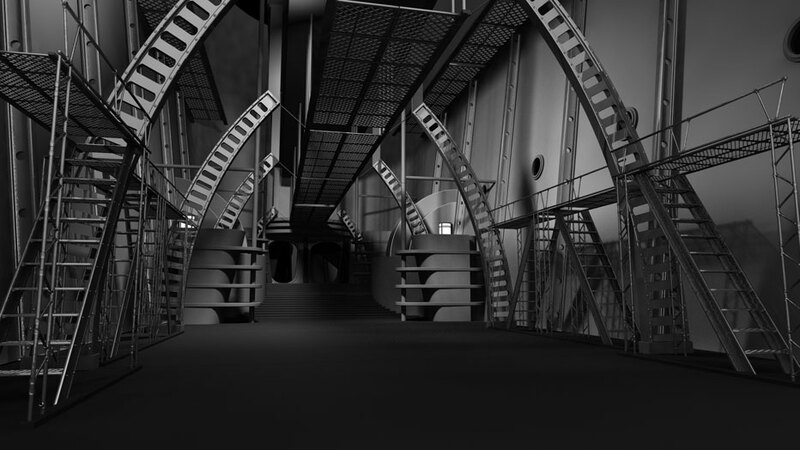 The airship's interior, created with LightWave. Kochinski is also a LightWave veteran. He began using LightWave more than 20 years ago while working in television during the ’90s. “We had to crank out the effects at a high rate of speed and at minimum expense, and LightWave enabled us to do that,” he says. So when it came time to create Dr. Obsidian’s backstory – and the premise of the film – there was no question that LightWave would play a major role in the production. 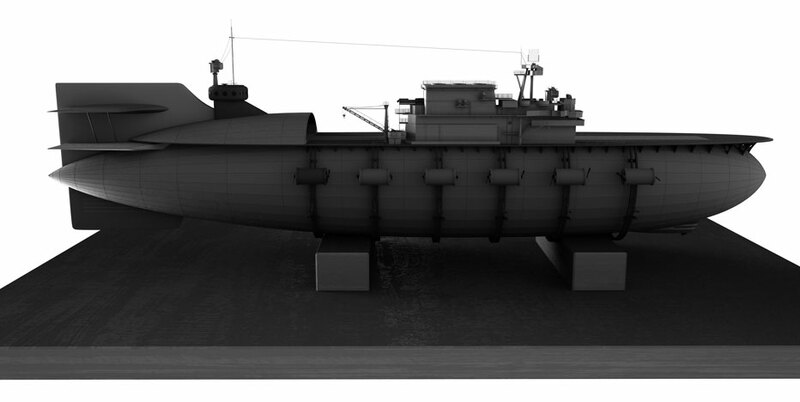 The 3D render of the airship. 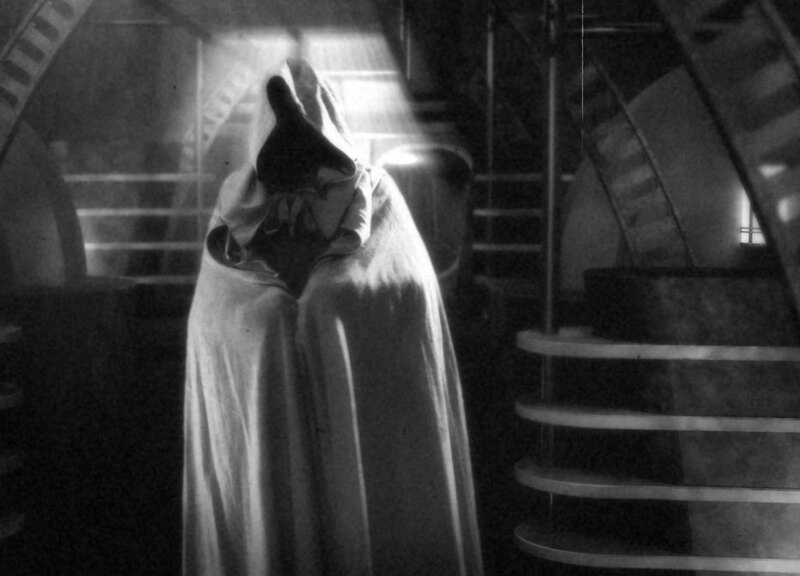 For the 1930s period scenes already filmed, Kochinski used a Panasonic SLR and standard HD Canon camera. The characters were shot against greenscreen, run through a keyer, then mapped onto a 3D card and placed within the digital set created in LightWave. Afterward, the dated material had to be graded and treated to reflect the specific era. Every shot – indoor, outdoor, CGI, or photo-based – is different and has to be customized, because what works on one shot doesn’t necessarily work on another. For the present-day footage, the director hopes to use a RED camera, which would give those shots a sleek, modern look that’s in tune with today’s standards. As he points out, using a camera like that for clips needing grading would be a waste of effort. A large portion of the action was filmed against greenscreen, so virtual sets were important, many of which were computer-generated within LightWave. 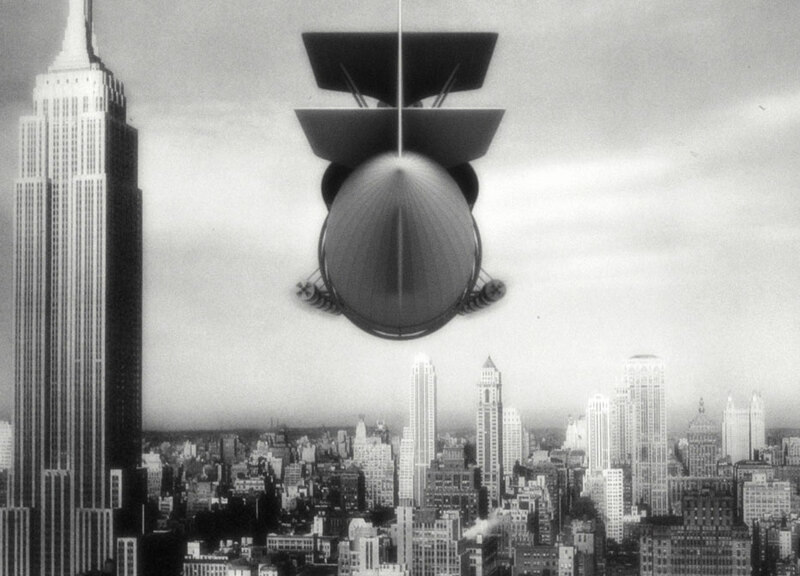 One of the first and the biggest CG backdrops is the interior of a zeppelin, which serves as the villain’s command center. In all, approximately 30 to 40 percent of the imagery is, or will be, CG. 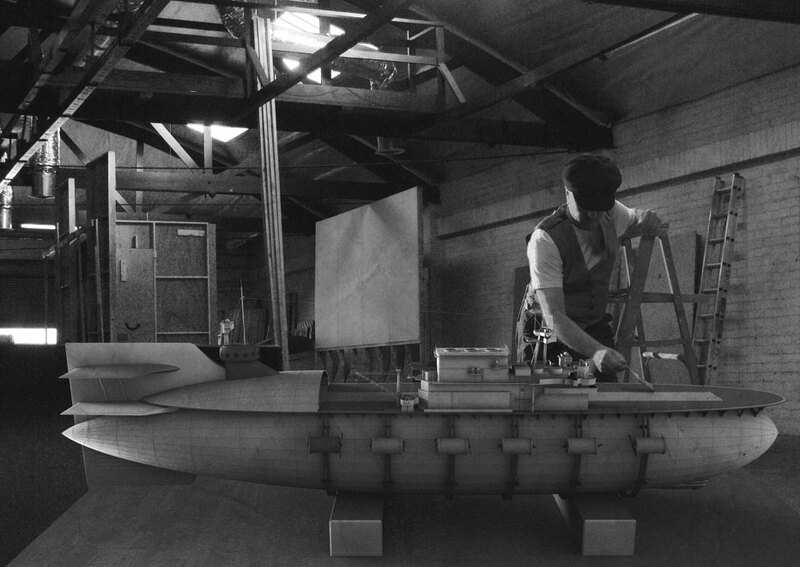 To help boost the realism of the scenes, Kochinski plans to incorporate some miniature models of cars, planes, and other objects. Kochinski likes LightWave’s intuitive interface and the fact that everything is logical and where it should be. “It’s a hard thing to explain when you have worked with the software for as long as I have, but it is organized in a way that makes sense. 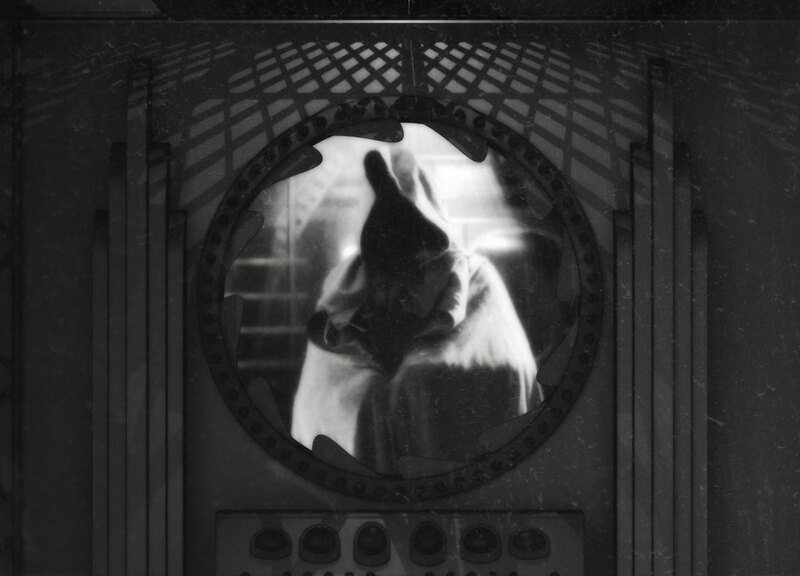 The fact that the buttons have what they do written on them, as opposed to a funky little picture that you have to take time to figure out what it means, saves a lot of time,” he adds. The filmmaker also likes that Modeling and Layout are separate sections, especially because it coincides with his workflow. When starting a project, Kochinski skips the sketch-design process and dives straight into modeling in LightWave. “The pipeline supports this. I design in 3D to see what works and what doesn’t, so I design and build simultaneously,” he adds. 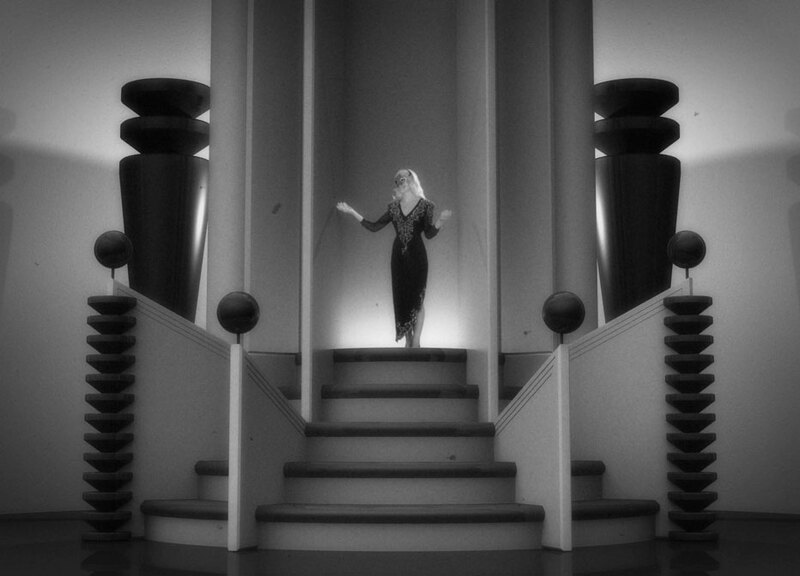 Even though LightWave offers a robust virtual camera, Kochinski is incorporating subtle camera moves into the production, mimicking those used in the 1930s. He is also mimicking the period’s classical stage lighting within LightWave by using three-point lighting, backfill, and key lighting. He uses the Radiosity tool quite a bit, at times using an HDR image map to start out. For more of a studio look, he will use a few dome lights and Monte Carlo radiosity to get bouncy shadows and lights, which “usually generates a nice three-dimensional-looking render.” For interiors, dome lights are preferred; for exterior shots, aerial lights. 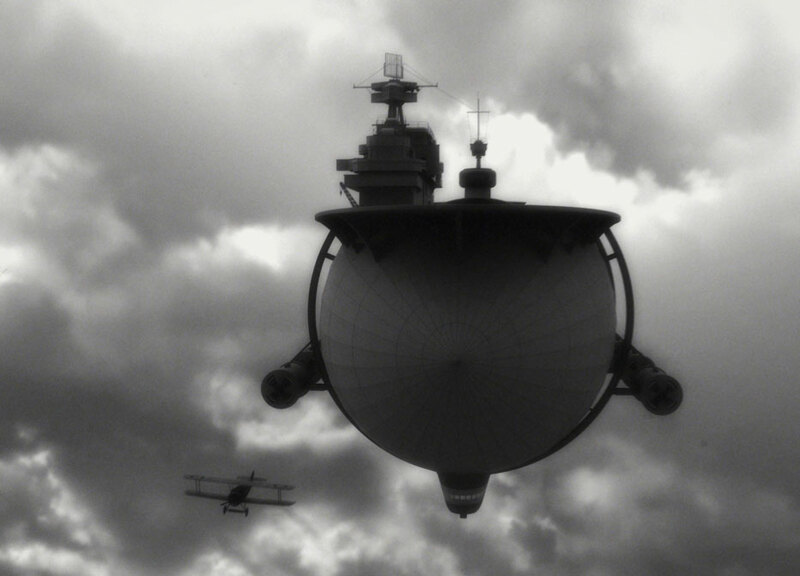 “The renderer is fantastic,” says Kochinski of the feature in LightWave. “When set up properly, you get really wonderful, photorealistic effects.” LightWave’s unique Viewport Preview Renderer (VPR) interactive renderer enables him to experiment with lighting, textures, volumetrics, and shading right in the LightWave viewport and get immediate feedback, thus saving valuable time. “There isn’t anything quite like it, and I use it a lot with the work I am doing,” he says. For now, Kochinski is working in LightWave Version 11 running on a dual-boot Power Mac that enables him to work seamlessly either in Windows or Mac OS. At some point soon he plans to migrate to LightWave 11.6, which offers many new key features, including 3D printing support, the ability to create or use existing CgFX shaders, Spline Control, a surface-baker camera, stereoscopic review capabilities, Raycasting technology to make an object aware of its surroundings in an animation, and more. “The features look fantastic,” he adds. The filmmaker notes that some of the features in Version 11.6 would have been especially useful when he was working on a show a few years ago called Animal Armageddon, which had a lot of dinosaurs, snakes, and prehistoric creatures. The team had used messiah:Studio as an add-on to LightWave for the animation, but some of the new tools in LightWave 11.6 –particularly the new Spline Control, ideal for animating anything that requires natural, fluid movement – would have been tremendously effective for the complex slithering creatures. During the 1990s, Kochinski witnessed LightWave revolutionize the content creation process: “It was the first off-the-shelf software that could be used cost-effectively for television work,” he says. “Back then you either spent zillions of dollars [on custom software] or you used LightWave. A lot of studios sprung up and did TV work thanks to LightWave. It was the only cost-effective alternative to doing this work. Then it spread into feature films, starting with Blade.” And, LightWave’s value in both television and film production has been growing ever since, playing big roles in major films, including Iron Man (LightWave was used to render the iron-clad Mark I suit used at the beginning of the film). 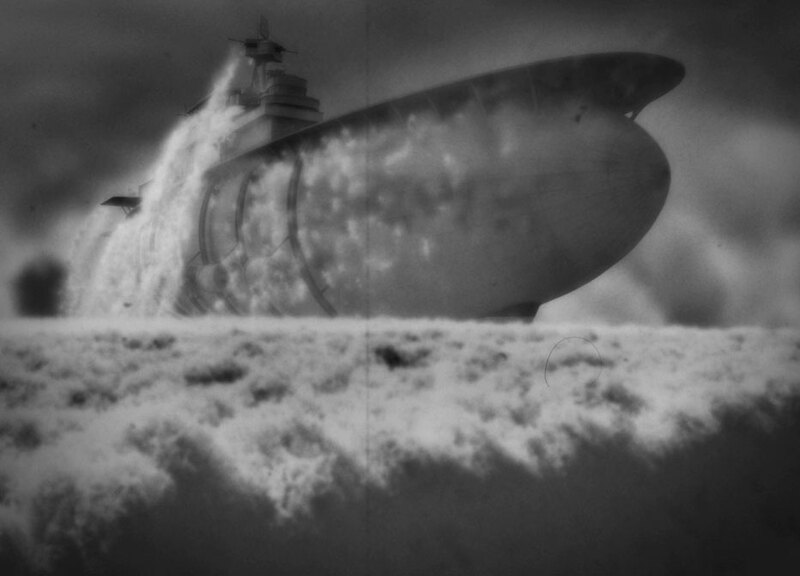 Most recently, Kochinski used LightWave for modeling, surfacing, and rendering the planes in the upcoming Red Sky. “They wouldn't have been able to do the movie otherwise given the budget they had to work with,” he notes. Follow the progress of "Dr Obsidian" at www.doctorobsidian.com. View Mark Kochinski's VFX credits on IMDb.